Living a Fit and Full Life: Gentle Care For You and Your Little One from Oilogic® Essential Oil Care! Gentle Care For You and Your Little One from Oilogic® Essential Oil Care! Oilogic® Essential Oil Care uses 100% Pure Essential Oils specifically blended and diluted for little ones, to naturally soothe common kid troubles. Use all 5 for your little tot or give them as gifts! Each comes individually boxed. Stuffy Nose & Cough is a concentrated blend of 100% Pure Essential Oils diluted appropriately to be safe and effective. Pour a generous amount of Oilogic’s Stuffy Nose & Cough Vapor Bath into a warm bath and allow your child to soak while breathing in the soothing vapors. Use foaming liquid as a gentle cleanser by applying to a soft washcloth. Soothing Baby includes a concentrated blend of 100% Pure Essential Oils including Lavender Oil and Chamomile Oil in a gentle cleansing base to naturally clean little heads and bodies. Wet your child's hair and body with warm water. Apply Oilogic® Soothing Baby Shampoo & Cleanser with your hand or washcloth and gently massage over body and scalp. Rinse thoroughly. Gentle enough for everyday use. plus Epsom Salt and Baking Soda! Pour 1 cup of Slumber & Sleep Essential Oil Epsom Soak into a warm bath and allow your child to soak while breathing in the relaxing vapors. Each comes individually boxed, so stock up your cabinet or give to a friend! 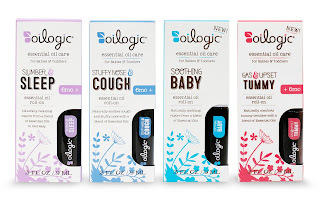 Gentle care for you and your little one from Oilogic® Essential Oil Care! I recently heard about Oilogic® Essential Oil Care and thought I definitely needed to try their products. 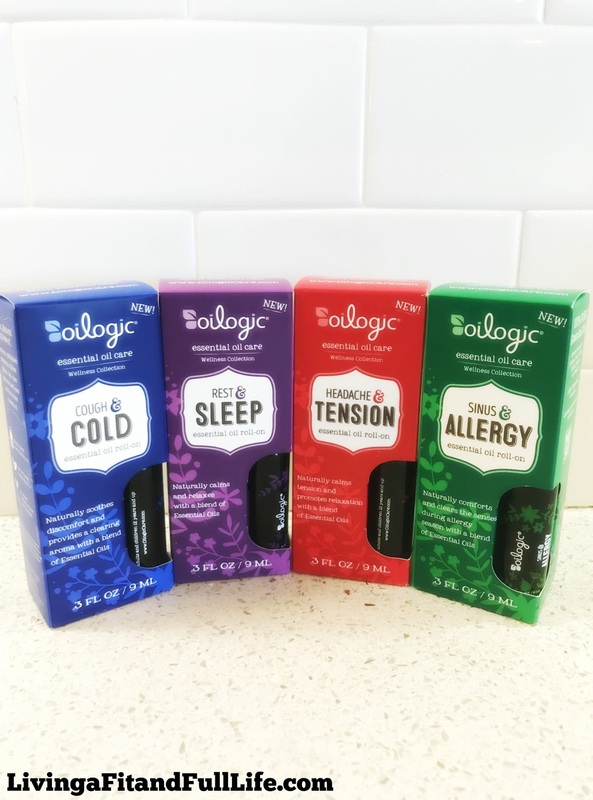 As the mom of four, my kids always seem to have something ailing them which is why I absolutely love Oilogic's Essential Oil Roll-On Bundle Of Joy set. It comes with Stuffy Nose & Cough Essential Oil Roll-On, Slumber & Sleep Essential Oil Roll-On, Soothing Baby Essential Oil Roll-On and Ear & Tummy Troubles Essential Oil Roll-On. These Essential Oil Roll-On products are perfectly diluted making them safe for baby and I love being help to help my little ones with natural products. I also love that they work. This set makes me feel like super mom since I can whip out an Essential Oil Roll-On to help them with whatever ails them! I also had the pleasure of trying Oilogic's Stuffy Nose & Cough Vapor Bath. 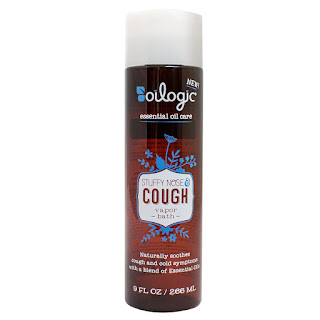 My kids all have colds right now so I've been using Oilogic's Stuffy Nose & Cough Vapor Bath and it helps them so much. They get out of the bath and can actually breathe which helps them get to bed despite being sick. Oilogic's Soothing Baby Essential Oil Shampoo & Cleanser works like a dream and I love how gentle it is on my little one's sensitive skin! It's the perfect shampoo and cleanser in one! Slumber & Sleep Essential Oil Epsom Soak from Oilogic is also a terrific product! It's the perfect way to help your little one soak the day away. As a mom, I love soaking in a calming Epsom soak so I know how beneficial it can also be for little ones. Add in those amazing essential oils and it becomes an even more beneficial soak. 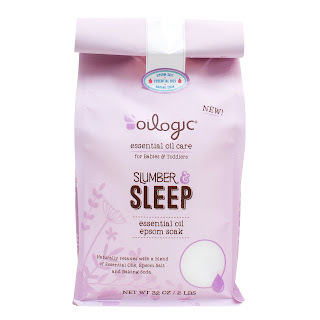 My kiddos tend to sleep much better after using this amazing Slumber & Sleep Essential Oil Epsom Soak from Oilogic. Even I've tried this terrific product and I'm in love! It's the perfect way to soak the day away! 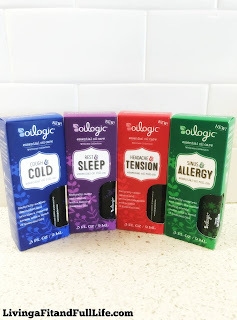 And, because I too seem to suffer from a few ailments I just had to try Oilogic's Adult Wellness Essential Oil Roll-On Bundle. This bundle comes with Headache & Tension Essential Oil Roll-On, Rest & Sleep Essential Oil Roll-On, Sinus & Allergy Essential Oil Roll-On and Cough & Cold Essential Oil Roll-On. I've already used every one of these Essential Oil Roll-On's and their absolutely fantastic. Now, when I have a headache I reach for my Headache & Tension Essential Oil Roll-On instead of ibuprofen and I've been totally surprised at how quickly my headache is relieved. The Rest & Sleep Essential Oil Roll-On truly does seem to help me sleep and the Sinus & Allergy Essential Oil Roll-On is definitely helping me to battle my allergies. The Cough & Cold Essential Oil Roll-On seems to help me battle my latest cold with ease all while keeping my nagging cough at bay. 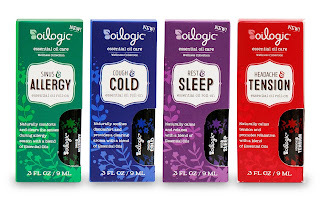 Oilogic truly has an amazing line up of products to help both you and your little ones battle your ailments naturally! Click HERE to find a store near you that sells Oilogic! Click HERE to learn more about Oilogic! Follow Oilogic on social media!